This will be held at Grand Harbour Chinese restaurant on the viaduct in Auckland. The date to book in diaries is Tuesday, 24 June. A very tasty banquet is planned and as usual excellent wines will be provided in a private room. We hope as many people as possible will attend this informal evening. The booking form is on the new website. Contributions, comments, additions and suggestions are welcomed by members. If anyone wants to delve into the website and leave comments or queries one must first access the member’s area and use a login and password. Membership is a mere $25.00 for 5 years and this gets new members a free electronic copy of The Handbook of Australasian Edible oils. AOCS have recently released their new comprehensive catalogue of technical books. A new book of relevance to Australasia and its export of nutritional formulae containing vegetable oils is the publication “Processing Contaminants in Edible Oils.” This book is reviewed elsewhere in the journal. In recent months the publication of an article in Annals of Internal medicine reported no correlation between omega-3 intake and the reduction in cardiovascular disease. This led to a media frenzy who love anything controversial like this. Senior nutrition scientists like Walter Willett from Harvard have been calling on the authors to retract the paper because the media frenzy that followed its publication has caused serious harm. Now a correction has been made to the paper reporting that an intake of omega-3 is in fact associated with a reduction in the risk of heart disease. Surprise, surprise the same media that wrote about the paper with the erroneous reporting has generally not covered the correction of the paper, nor the resulting changes in the analysis. In the original publication, the relative risk for coronary outcomes in prospective cohort studies of total long-chain omega-3 fatty acids was reported as statistically non-significant [0.93 (0.84-1.02)], but the corrected article reports it as SIGNIFICANT [0.87 (0.78-0.97)]. It appears that this was the result of incorrectly entering data from the Danish National Birth Cohort study. Recent TV programmes and the wonderful media have now trumpeted the new hypothesis that it’s fine to eat as much total fat and saturated fat as one wants. One consequence is that in cutting back on fats, people ate lot more carbohydrates—at least 25% more since the early 1970s. Consumption of saturated fat, meanwhile, has dropped by 11%, according to the best available government data. Translation: Instead of meat, eggs and cheese, we’re eating more pasta, grains, fruit and starchy vegetables such as potatoes. Even seemingly healthy low-fat foods, such as yoghurt, are stealth carbohydrate-delivery systems, since removing the fat often requires the addition of fillers to make up for lost texture—and these are usually carbohydrate-based. There’s new proof that olive oil is good for you. But you get what you pay for, with high-quality extra virgin varieties far more likely to prevent heart attacks and stroke than cheaper processed types. Fifty grams or 3.5 tablespoons a day are ideal for a person at high risk of cardiovascular disease, says Spanish dietician Marta Guasch-Ferre, who is in Australia to present the findings of a major research project. The risk of cardiovascular disease is reduced by 10 per cent for every two teaspoons, according to her study, which was published on Wednesday in the journal BMC Medicine. The oil should make up around 10 per cent of the calories in a diet rich in legumes, fruit, vegetables, nuts, seeds, fish and unprocessed white meat. Low-fat dairy, nuts and fruit can be used for a healthy dessert, but sugar, refined carbohydrates and animal fats should be limited. 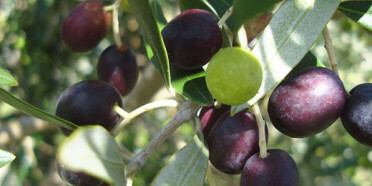 Extra virgin or virgin oil is extracted gently from ripe olives and is far more protective than processed types. When olive oil is processed refined and deodorized, it loses some of its beneficial properties. This refined and pale coloured oil is the major oil unfortunately on Australasian supermarket shelves and in NZ is labelled “Light”. The findings suggest people who have a high risk of heart disease can improve their health by making small dietary and lifestyle changes. A paper recently published in Chemistry in New Zealand utilising advanced analytical techniques has showed that NZ olive oil has much lower levels of undesirable flavours than imported oils. A fact that sensory panels and Consumer magazine has been saying for years. If only we were all polar bears! 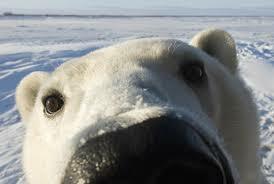 Polar bears may hold the answer to the obesity crisis in their genes, new research has shown. A study of the animal’s DNA reveals it is uniquely evolved to cope with a high fat diet that would prove disastrous to a human. The bears prey on blubber-rich seals, and also scavenge the fatty carcasses of whales. Half their body weight consists of fat and their cholesterol levels are sky high, yet they are untroubled by heart disease. Now scientists believe they know the polar bear’s secret – several mutated genes involved in fatty acid metabolism and cardiovascular function. The study was collaboration between Danish researchers and scientists at Berkeley. We recently watched a DVD based on the BBC programme by Michael Mosley. There were two fascinating items in the program which are of great relevance to the current issues surrounding obesity and diet. These items were the philosophy of calorific restriction, in practice two days a week seems to work. The other interesting concept was that a couple of minutes of intense physical activity every week sufficed for positive changes in blood biochemistry as opposed to long sustained exercise. This philosophy will appeal to people who are time rationed. The recent dieticians conference in the USA was virtually sponsored in its entirety by the fast food, confectionery and sugary drinks manufacturers. There is nothing wrong with some sponsorship balanced with subscriptions but to dominate the papers and to preach that there is nothing wrong with over consumption of sugary, fatty foods is a bit dubious to say the least.